It is winter season now in Japan and it seems we are busy applying lip balm get your lips smooth and soft instantly. Our lips need rich nourishment and protection especially for sensitive skin and lip damaged by cold temperatures and UV rays. Lip care products are important to provide lasting moisture after use. With so many different options in the market, sometime you have no idea which brands are actually work for yourself. This article is to reveal which the best Japanese lip balm in 2017 by testing water retention capacity, improvement after applying lip balm and comfortable after use. Therefore, you can pick the best for yourself. Nivea Lip care products provide intensive moisture for the people who have dry and damaged lips problem. With 3 moisturizing skin formulas including Amino acid ginseng extract and hyaluronic acid help to provide long-lasting hydration in order to protect lips from dryness. In addition, it also protects the lips from UV rays. 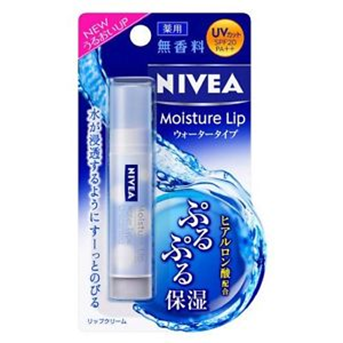 Compare with Nivea Deep Moisture Lip, water retention capacity for Nivea Moisture Lip Water Type is only 123.7% after 8 hours. It can reduce vertical lines and the lip more tighten after application. 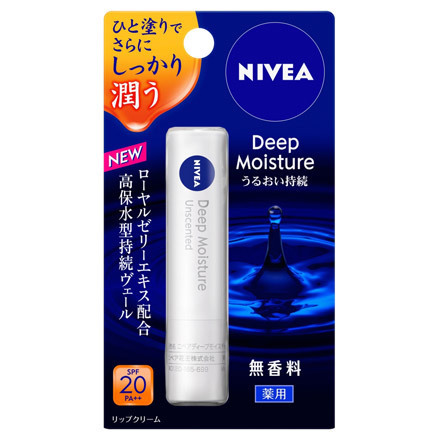 Nivea Deep Moisture Lip provides deep moisture and protection over the lips due to this product contains 4 moisturizing ingredients with amino acid based moisture protecting ingredients, honey, royal jelly extract and olive oil. The formula also prevent cracked and damaged lips. Testing panel has revealed water retention capacity decrease from 141.2% to 128.3% after 8 hours. No sticky and easy to apply. Ettisais Lip Essence has high moisture lip essence and SPF 18++ protects from UV rays and damaged lips. The lip essence promotes blood circulation and will give you pink healthy, glossy and softening lips after application. It contains Hyper Gloss Oil which sustains the moisture lip for hours. In addition, there have no contain any formulas harm your lip such as paraben, fragrance and alcohol. Easy to apply with the squeeze tube packaging. 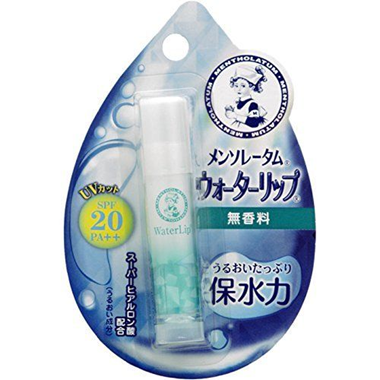 Compare with Yuskin A Medi Lip, Ettusais Lip Essence has lower hydration level. 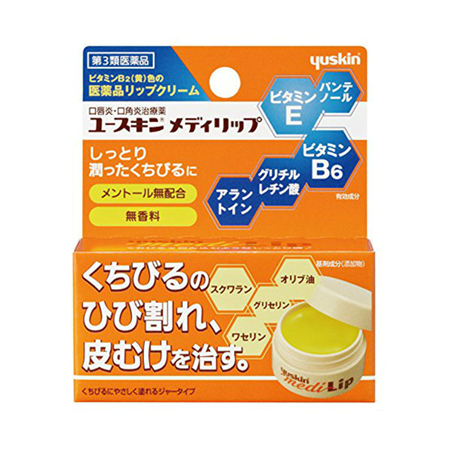 Yuskin A is one of popular Japanese brands for lips. In 2017, Yuskin A has been renewed by adding glycyrrhetinic acid to the other 3 active ingredients. 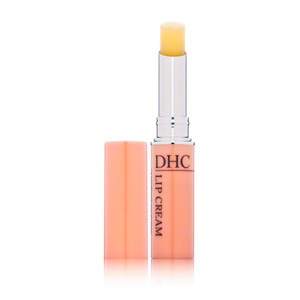 The cream is very effective to moisture and nourish your lips. It is also effective to reduce lip line and wrinkles. 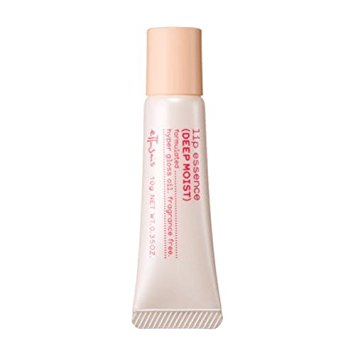 After apply the cream, your lip still moisturize after 4 – 8 hours, water retention capacity maintains 162.4%. This is why Japanese dermatologists recommend Yuskin A Medi Lip to people have damaged lips. This is the product I like recently. 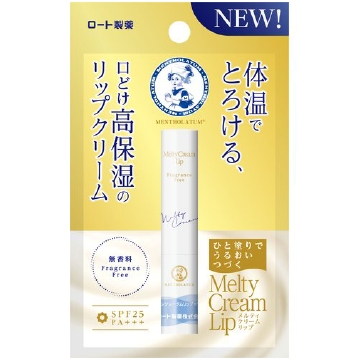 Mentholatum Melty Cream Lip is a moisturizing lip cream to improve your dry lips. The moisture cream able to melt on your lip through the temperature of the body and protects moisture. After 4 hours, water retention capacity remains 144.9%. You will feel smooth and soft after use. Mentholatum has launched many types of lip care products and it is fast gaining popularity around the world. Key ingredients used in this Water Lip product are hyaluronic acid, collagen, aloe vera leaf extract and squalene. These ingredients replenish and retain moisture as well as increase the elasticity of the lips. Although it is called water type, water retention is not long-lasting. No greasy at all after application. The best is the pigmented water film gives the lips a glossy finish and healthy looking lips. DHL also known as Daigaku Honyaku Center which is Japanese manufacturer dealing in skin care and makeup products in Tokyo. It was established in 1972. This is must buy Japanese brand for tourists visit in Japan. The lip has no fragrance and paraben free as well as the lip cream contains olive virgin oil, aloe extract, liquorice extract and vitamin E to provide long-lasting moisture for dry and cracked lips. It also helps to reduce vertical lines. Testing panel used special tool to test the moisture level and found that moisture level reduces gradually after 4 hours. 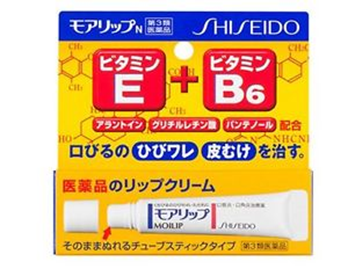 Shiseido MoiLip is a lip treatment for cracked or dry lips. The moisturizing ingredient such as vitamin E and vitamin B6 help to locks in hydration and improve dryness and roughness lips. In addition, it also contains Allantoin and Gurirurechin acid repair wounds and reduce inflammation as well as relief from peeling and cracking lips. Tube packaging is easy to dispense cream onto fingers but difficult to blend it. After 4 hours, moisture level is 143.5%, however the level will drop to 129.3% in the following hours.